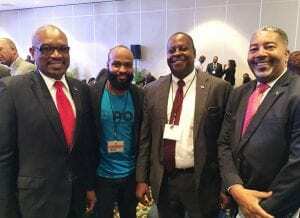 PO8 – a startup from the Bahamas – is utilizing blockchain technology to revolutionize marine archeology and deep sea treasure hunting, and bring it to the masses. Blockchain technology continues to whip its magic across various areas of human endeavors. Its disruptive force is already being felt in the fintech sector, supply chain and logistics, manufacturing, healthcare, etc. With benefits of transparency, better security and decentralization, blockchain and other distributed ledger technologies (DLTs) proffer solutions to thorny issues. The latest to be visited is the problems associated with commercial marine salvaging and marine archeology in general. A lot of valuable items lie on the beds of water bodies over the world. These items, often referred to as treasures, are found on wrecks of ships submerged under the water from storms and battles. These ships dating back a few hundred years carried precious cargo from newly discovered regions. An estimated 3 million ships lie underwater, some of which were plunged into the seas along with precious cargo. It is believed that treasures like gold, silver and precious stones worth billions of dollars lie under the waters around areas like the Bahamas. The quest to recover these artifacts and precious materials have created a whole industry of marine archeology. Individuals, companies and government undertake deep water exploration to locate and recover these treasures which are then auctioned to generate revenue. Marine archeology, particularly marine artifact salvaging, is undoubtedly a multi-billion industry, but it is also plagued with its fair share of challenges. In Bahamas, the government has placed a moratorium on the search and salvage of historic shipwrecks since 1999. The business was plagued by high levels of unaccountability, corruption and theft, so much so that the government interest was not covered. This and other problems made the ban plausible. An important issue with looking for sunken artifacts in the Bahamas was the business model which focused on maximizing profits at the expense of the environment and cultural heritage of the people. This is because salvaging companies only recouped the cost of exploration and made money when the artifacts were auctioned, most times to the highest bidder. These artifacts are permanently removed from their locations as soon as they are acquired. In addition, the entry cost for salvaging operations is enormous. These expeditions require expensive sensing and exploration equipment only a few companies can afford. The financial risks associated with salvaging is quite high as some searches may not turn up any artifacts. Of the 71 licenses issued in Bahamas between 1972 and 1999, 42 recorded no recoveries according to a UNESCO report. 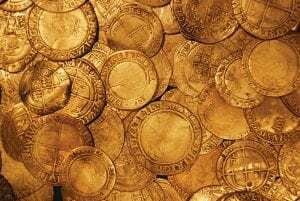 Even when a company with the financial capacity did undertake these ventures, they were limited because there is only so much a single company can do in search of lost treasures. 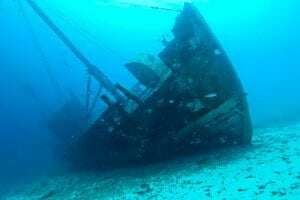 18 years after the moratorium was put in force, the government of Bahamas has issued its first license to search and salvage abandoned shipwrecks. The government chose to issue this license to a company with a totally different approach to what other explorers in the past offered. The company, Pieces of Eight (PO8) Salvaging Company, is bringing blockchain technology into an area that have defied expectations. But, how can blockchain transform this sector? The blockchain-based system which PO8 proposes is designed to tackle the pain points of the industry including accountability issues, high cost of entry, risk, as well as environmental and cultural concerns. With a tamper-proof distributed ledger for recording data from salvage operations, PO8 introduces utter transparency thereby tackling the issues of corruption and unaccountability. Secondly, the system allows funds for expeditions to be crowdsourced thereby removing the financial barriers to entry that plagues marine archeology. Through tokenization, anyone can invest in these efforts and benefit from the outcomes. This allows true marine archeology enthusiasts to participate; and not just companies driven by desire to exploit the sites just for profit. In the same vein, the risks associated with these expeditions are spread out making it bearable. Also, PO8’s platform can serve purposes other than for salvaged artifacts. This makes it less risky for token holders; more on that when we discuss the PO8 Ecosystem. Duly registered with the authorities in Bahamas, PO8 in its salvaging operations will adhere to policies for responsible and modern management of historic shipwrecks especially as it regards to environmental conservation and respect for national heritage. For instance, PO8 does not intend to auction off recovered artifacts. Rather, they will remain under the custody of the company and be taken for exhibitions in museums all over the world. PO8 will auction the NFTs representing the physical assets, thereby giving ownership interest to investors. That way, all stakeholders benefit from the recovered artifacts, while also simultaneously preserving the national heritage of the Bahamians. Put simply, PO8 is a blockchain ecosystem tokenizing the recovery and ownership of underwater artifacts and treasures. 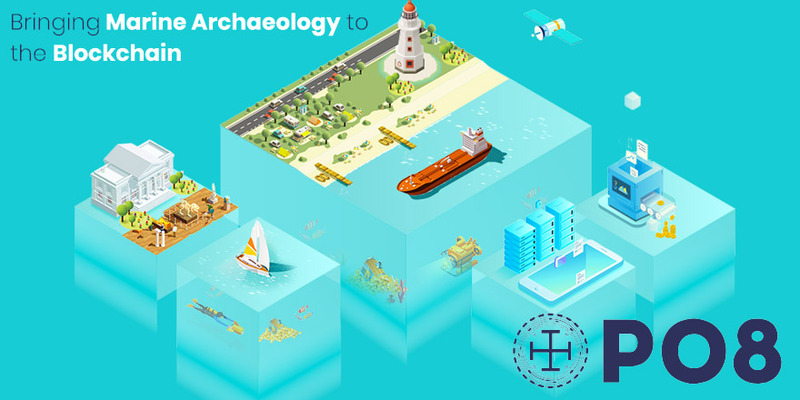 The system democratizes and decentralizes the billion-dollar marine archeology industry, such that anyone from around the world can now help in the recovery efforts of the long-lost cargo. It uses ERC-721 Non-Fungible tokens (NFTs) on the Ethereum blockchain to track and verify ownership of assets. These unique assets are now placed on a blockchain-based marketplace where investors can now purchase share of ownership of these assets. Maritime Artifact Data System (MADS) – the salvaging end of the system – connects members who want to participate in the artifact recovery program. These members will hold an amount of PO8 token as a proof of stake model. They perform bounty tasks like data mining and receive SILVER tokens as reward. Tasks range from automated data analysis using client applications to interactive tasks where they may identify forms, shapes and patterns in data returned from sonar, magnetometer, geo-mapping, historical records, weather patterns and video feed. When artifacts are found, they are verified and placed on the blockchain-based auction platform. PAZAR, Curated Digital Commodity Marketplace uses of asset-backed Non-fungible tokens which can be transferred within smart contracts. Basically, NFT tokens are dissimilar to each other. Unlike fiat or cryptocurrencies like BTC or ETH whose units have the same value, each NFT differs from the other and are valued differently. For the PAZAR platform, each NFT will be automatically created for each artifact restored and will contain the value of the artifact. It also contains other information such as the proof of origin, proof of authenticity and the owner(s). The platform will be accessed by user-friendly digital wallets compatible with mobile and web. An interesting point stated earlier is that multiple users can own a stake in an NFT (which in essence is an actual artifact). To pull this off, PO8 needs several layers of partnerships. First with the government and licensing authorities, then with third-party stakeholders and service providers. As a real-life solution, PO8 platform must consider the role of professionals who verify and authenticate the artifacts. So far, the project has fared well. On the government side, the company, incorporated in The Bahamas, has obtained a license to search and recover artifacts from historical shipwrecks. Beyond that, they seem to have the backing of the government which has promised to leap towards blockchain technology. PO8 is notably the first blockchain-based business in the country. Its mode of operation will definitely please the host country and guarantee its continued support. By creating the first Bahamas Archeological Treasure and Maritime Museum and Interactive Marine Park, PO8 will boost tourism in the country, bringing jobs and increased revenue to the country. The announcement on Tuesday that prominent oceanographer David Gallo has joined the PO8 team, shows their commitment to bringing the best talent on board. Gallo, who co-lead the RMS Titanic exploration team will serve as the Vice President for Exploration at PO8. According to him, the “PO8 is the most exciting project to come along in decades,” because it encourages the development of new technologies and techniques for undersea exploration and visualization. Gallo is definitely not the only star name on PO8’s team sheet. The team comprises industry leaders with several years of experience and notable accomplishments in their respective fields. 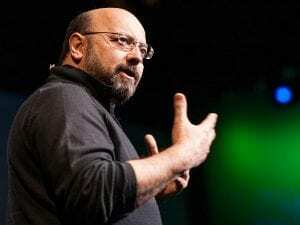 The CEO, Matthew Arnett is a known serial entrepreneur and a thought leader in business spheres. He has advised businesses including Uber and WeWork as well as trade missions from The Bahamas, Dominican Republic, Panama, and Chile. He now focuses his attention on real-life blockchain solutions. The profiles of the team members can be found on their website. The pre-sale of the PO8 token is currently ongoing and open to investors with a minimum investment of 50 ETH. According to the project whitepaper, the PO8 token is an ERC20 standard utility token which would give holders access to the ecosystem, who will also get a 25% bonus. 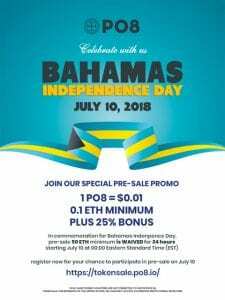 However, in commemoration of the Bahamas Independence Day on July 10, PO8 will be lowering the minimum buy-in to as little as 0.1 ETH for 24 hours. PO8 hopes to raise $30 million (hardcap) or at least a softcap of $10 million from its Initial Coin Offering (ICO). 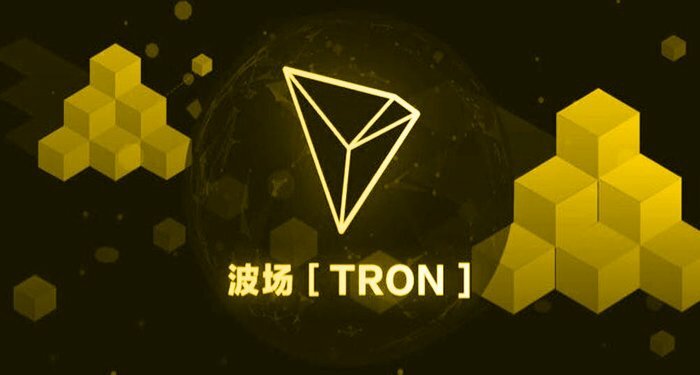 6 billion tokens of total 10 billion tokens are available for sale at a rate of $0.012 per token. Crowd sale details and dates are not finalized yet, so visit their website at www.po8.io for the latest information. PO8, however, is wasting no time. As the crowdfunding is ongoing, CEO Arnett confirmed that they have already identified target locations to explore. “We’ve already identified a couple of locations with cargo manifest records indicating the loads are significant in value,” he said. The PAZAR platform is expected to go live later this quarter. The project roadmap can be found on their website. Did the Bahamian government confirm they’d issued a search and salvage permit?